Why is WordPress Called WordPress? 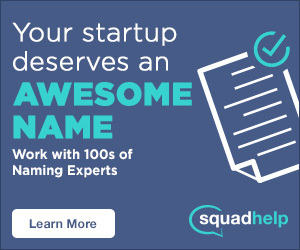 Try to imagine all of the websites you know exist and then try to imagine how many more there could be that you don’t know about. Now, take a guess at how many websites might be out there altogether. If your estimate was nearing 1 billion, you WIN. The November 2015 Web Survey by Netcraft yielded a response of 902,997,800 websites in operation. What’s surprising about this is not the number of websites alone – but the fact that WordPress powers right around 20% of them. For the mathematically challenged, that’s approximately 200,000,000 websites. If, by some miracle, you’ve never heard of WordPress, I’ll give you the synopsis. At the bare minimum, it’s an open source software and publishing platform that operates on a freemium model. 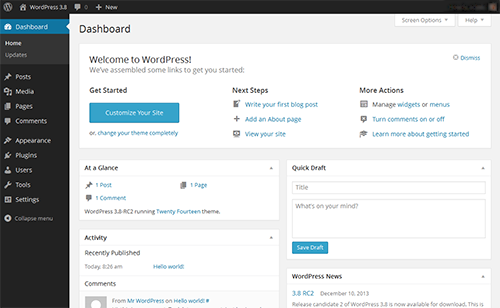 Users can get started by visiting either wordpress.com (free) or wordpress.org, the self hosted option that allows you to download third party plugins and edit theme files. If you are unsure which option to select for either professional use or personal, I’d recommend reading this great article by WP Beginner. And if you haven’t started a blog or site because you don’t know where to begin, I highly recommend reading this detailed resource by First Site Guide on how to make a website. These days, the powerhouse is owned by a parent company called Automattic. AutoMATTic as in Matt Mullenweg, the guy who created WordPress, who also happens to be the founder of Automattic. He stands as the CEO and President of the web services company headquartered in San Francisco, CA. In addition to WordPress, Automattic operates a host of services, including Akisimet, Gravatar and WooCommerce. It began in 2003, when a young Mullenweg was disappointed that the blogging platform he favored, B2/Cafelog, was being abandoned. He was what we’d call an early adopter. So when B2 announced it was shutting down, Matt blogged his frustration (duh!) and swore to create a new branch of a software project independent of the existing one. The first comment he received was from another beloved B2 user, Mike Little, who wrote that if Matt meant business, he wanted in. In the meantime, Matt was attending blogging meetups in Houston, where he met another blog-lover by the name of Christine Temoulet, a self-professed geek and namer of things. By the time SxSW rolled around that year, Matt was just getting ready to release his new software. But one small thing was missing…the name. Why is it Called WordPress? SEE ALSO: Why is Evernote Called Evernote? It isn’t a far reach from another early platform, Moveable Type, which also channels the early printing presses. 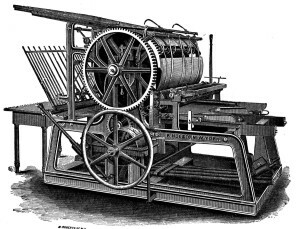 The Gutenberg press made the written word and publishing widely accessible and now, as an open source, democratized publishing platform, WordPress aims to do the same. We’ve used wordpress.org for over two years now at Rewind and Capture – its user friendly dashboard makes it easy to explore plugins, add new pages, edit theme files and most importantly create and distribute content. If you’re using WordPress.org, tell us about your favorite plugin in the comments.